How should we best support existing grammars to expand? The government should not allow grammar schools to expand. The government’s own evidence (p11) shows that disadvantaged students are few and far between in the upper reaches of the attainment distribution. It is therefore clear which pupils are likely to gain entry to and benefit from these schools. The occasional “Uncle Steve” who defies the odds and makes it to a grammar school is not a sufficient justification for a policy that will be damaging to the vast majority of disadvantaged pupils. 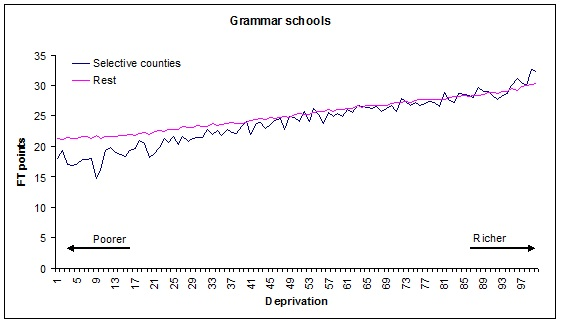 Until selective counties (and the disadvantaged pupils within them in particular) begin to outperform non-selective counties (as is clearly not the case at present) any expansion would be premature. The socially divisive nature of selection in a context where England is already struggling with cohesion. The fact that by the schools’ minister’s own admission, a tutor-proof 11+ test is a “holy grail” – i.e. something that has never been found. The government should therefore focus its efforts on minimising and reducing socio-economic segregation and segregation by ability, for example by ensuring MATs do not transfer pupils between sites unless this is in the interest of all pupils. What can we do to support the creation of either wholly or partially new selective schools? If the government choses to follow a manifestly non-equitable and damaging policy. The negative effects could be minimised as follows. ‘Fair selection’ could be trialled in selective areas with roll-out contingent on a successful pilot. Given that social mobility is so poor in selective areas, this approach would also act as a ‘targeted effort to tackle blackspots’. All sorts of schools are already allowed to select a proportion of their intake, for example through aptitude in a specific subject. An increased number of these, or some loosening of conditions they operate under could provide a ‘grammar schools lite’. Specifying a tight enough definition of where new grammars can be created and how a much smaller proportion of pupils can be selected could help define grammars into relative innocuousness. How can we support existing non-selective schools to become selective? This would be a terrible idea for the reasons outlined above. Are these the right conditions to ensure that selective schools improve the quality of non-selective places? No. It is very unclear how this policy could do anything other than reduce the quality of education offered to pupils in non-selective schools. What is the right proportion of children from lower income households for new selective schools to admit? Such a threshold would not solve the problem because there will always be some pupils on the margins, the wrong-side of the threshold. Furthermore, income is one dimension of disadvantage but not all of them. Pupils gaining admission are likely to be those just the right side of the threshold – i.e. with relatively low income but less disadvantaged in other ways, for example in relation to parental engagement in education, cultural capital. Intake is also likely to be skewed by ethnicity given the performance profile of different ethnic groups. Pupils that are most profoundly or multiply disadvantaged will benefit least, and indeed be harmed the most. As researchers it would be useful if we could (easily) access more granular data on deprivation levels using a continuous variable rather than the current binary measure outside of the NPD application process. However, there is always a trade-off between simplicity/comprehensibility. It may therefore be appropriate to retain headline measures for schools that remain based on a simpler binary measure. It is also important to note that the benefit of such an approach would not only be capturing the achievement of families “Just About Managing”, but also the particularly poor outcomes achieved by persistently or profoundly disadvantaged pupils. What contribution could the biggest and most successful independent schools make to the state school system? Paying taxes that can be transferred to other schools thus ensuring that resources are available to maximise the social mobility of those who face the most extreme barriers to success. Expanding the good work some already do in providing facilities and learning opportunities for local schools, or supporting multi-academy trusts or teaching school alliances. 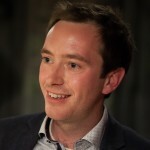 It is also important to recognise that Independent Schools’ expertise does not always transfer well into other schools – as has been highlighted by some independent school leaders themselves (note comments by Jon Coles about the experience of the United Learning Trust at the Centre for Market Reform in Education). That is not to say this is always the case and we would fully support efforts to do more. What threshold should we apply to capture those independent schools who have the capacity to sponsor or set up a new school or offer funded places, and to exempt those that do not? In choosing a threshold it is worth noting that many corporate businesses also provide outreach activities, school sponsorship and access to facilities. Given that the government would not offer these businesses tax exemption in return for this it is hard to see why Independent Schools should be treated differently. The default should therefore be for Independent Schools not to be tax exempt, with exemption instead earned where a threshold is met. Independent schools should not generally be eligible for charitable status. How can the academic expertise of universities be brought to bear on our schools system, to improve school-level attainment and in doing so widen access? Universities should be encouraged to work with and support schools where they have expertise to bring to bear. However it is important to note that not all universities feel equally well equipped to support schools (note contrasting views from Edward Peck and Louise Richardson). It should therefore not be assumed that Universities all have the skills needed to improve achievement in schools and a pragmatic approach rather than a universal expectation is most appropriate. Use of facilities for example can be a simple and practical way of providing wider opportunities for schools. Whereas sponsoring a school (as a condition of higher fees) is not necessarily desirable given comments above. The school system needs more high quality and effective sponsors rather than more sponsors regardless of their quality and capacity. In deciding how and where to support school attainment Universities should take into account the fact that short-term/one-off interventions, focused on inspiration and aspiration are less effective approaches compared to longer term, achievement-raising or opportunity-widening activities. They should also be encouraged to work with schools serving pupils from more disadvantaged backgrounds. Are these the right alternative requirements to replace the 50% rule? Whilst it is clear that the government needs to take steps to increase school supply, this is not the appropriate way forward as segregation in society and between pupils is something that needs to be reduced not increased (see our recently published report on social cohesion). “faith schools, on average, educate a smaller proportion of disadvantaged and SEN pupils, as well as a larger proportion of pupils with high prior attainment. As a result, the report finds no evidence that expanding faith schools will achieve the Government’s objective to increase social mobility”. Apart from a potential short-term fix to the lack of school places there is therefore nothing to be gained by increasing selection by faith. Alternatives such as allowing and requiring local authorities to open new schools (whether or not they then manage these schools) should therefore be pursued instead. How else might we ensure that faith schools espouse and deliver a diverse, multi-faith offer to parents within a faith school environment? By reducing quotas for selection by faith. It is bizarre that in a modern state we allow schools to discriminate against pupils based on their faith.